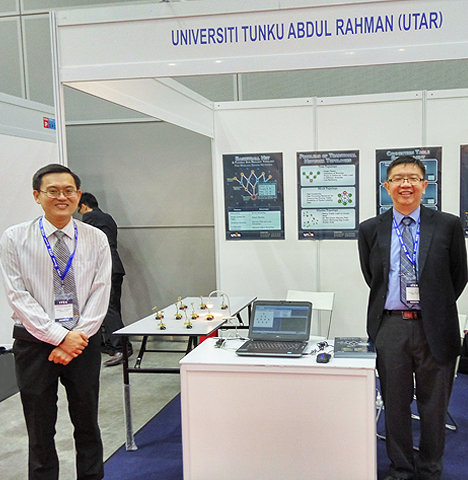 It was indeed another remarkable achievement for a team of six researchers from the Department of Computer and Communication Technology (DCCT), under the Faculty of Information and Communication Technology (FICT) to win a silver prize in the 27th International Invention and Innovation Exhibition (ITEX 2016) held at the Kuala Lumpur Convention Centre from 12 to 14 May 2016. Launched by Minister of Science, Technology and Innovation Datuk Seri Panglima Madius Tangau, ITEX 2016 was organised by the Malaysian Invention and Design Society (MINDS) and supported by the Ministry of Science, Technology and Innovation (MOSTI). The exhibition is one of the largest annual invention exhibitions in the world which featured a total of 23 invention categories related to innovation and technology. The exhibition which focused on cultivating the ability to think critically — a quality that separates innovators from followers — served as a platform for universities, research institutions, corporations, and individuals to showcase more than 1,000 inventions to prospective investors for commercialisation. ITEX 2016 also attracted participants and visitors from 20 countries, including China, Germany, South Korea, Russia, and the United States. The winning UTAR team comprised team leader FICT Dean Assoc Prof Dr Liew Soung Yue, Head of the DCCT Dr Goh Hock Guan, FICT Lecturer Dr Gan Ming Lee, FICT alumna Lim Chong Sen, and FICT Master of Science (Computer Science) students Sia Yeong Kang and Ang Jenn Ning. They submitted to the exhibition their brainchild titled “Basketball Net – A Flexible and Resilient Topology for Wireless Sensor Networks”, which they had patented with the MOSTI, and won a silver prize. Their winning entry demonstrated on the basketball net which was invented for wireless sensor networks that (1) data generated from nodes are to be forwarded to one or multiple base station(s) and (2) nodes help each other relay packets. The invention exhibits multi-level structure, simplifies routing, enhances reliability, and prolongs lifetime. Dr Liew further elaborated that each node in the basketball net topology may have multiple parents which are one hop closer to the base station. This resolves the inflexibility issue faced by the tree. Moreover, a load balancing scheme can be implemented at each node to balance the traffic forwarded to the node’s parents. The basketball net framework is also ready for the optimisation of load balancing. In addition, a node always chooses paths with the minimum hop count to the base station for packet forwarding rather than indirectly going through cluster heads. Finally, the basketball net topology is resilient as it can be easily recovered in the event of node failure. “We were happy to have received a silver medal for our invention in the ITEX 2016 exhibition. 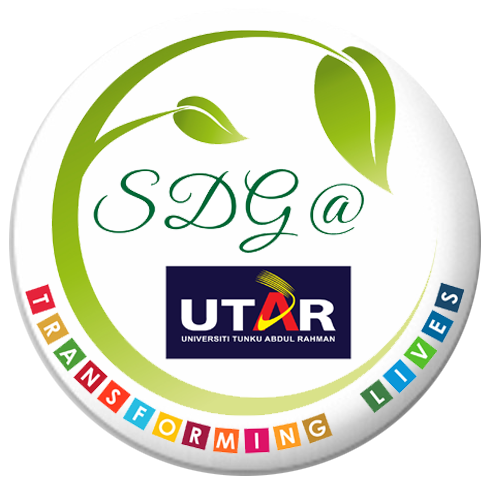 We gratefully acknowledge UTAR and the MOSTI Science Fund for their support in the design, development, and patent filing of this invention. We are looking forward to the potential commercialisation or applications of our invention in the next phase,” enthused Dr Liew. The ITEX first took place in 1987 and targets to encourage innovation among all ages and level.